You’ve probably heard of the GI Bill. Maybe your parent or grandparent used it after a war or military service to get his or her education. Well, the GI Bill is about to change and in a big way. This summer President Trump signed something called the Forever GI Bill. Why was this new bill necessary? Because with the old GI Bill, your benefits expired after 15 years of not being in the military. Many military members and veterans have used a little-known part of the GI Bill—transferring those benefits to a dependent—to pay for their child’s college education. However, it wasn’t always so easy. For starters there was the timing out of those benefits after 15 years. There was also the restriction that you had to opt-into wanting to use those education benefits before you left active duty. 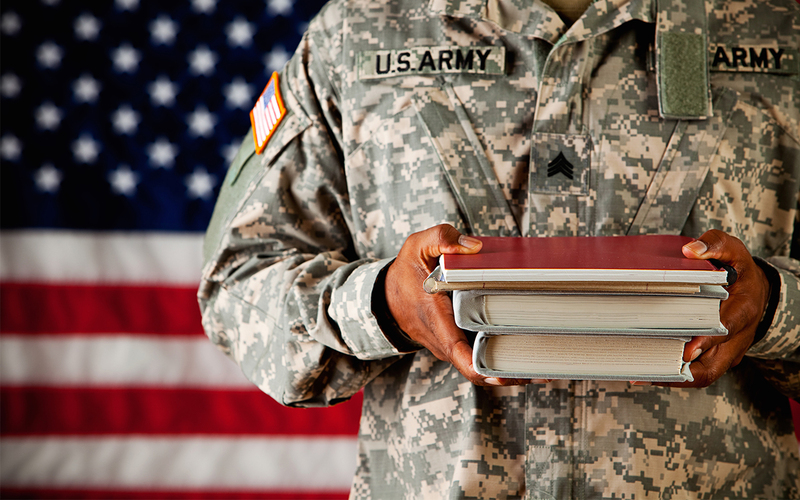 It’s not clear if this latter restriction still exists in the Forever GI Bill. But the 15-year expiration is definitely gone. More people qualify for Yellow Ribbon benefits, which has the government and certain schools splitting education costs that the GI Bill doesn’t cover. If a dependent using benefits happens to die before using all of the education benefits, the veteran parent can now transfer to another dependent. The Dependents Education Assistance Program (DEAP)provides more money to pay for a child’s education. The DEAP is for servicemen or women who were killed in the line of duty or permanently disabled. The benefits cover family members, too. One of the programs that military parents will want to know about regardless of this new Forever GI Bill is the Post 9/11 GI Bill. This is for anyone who served in the armed forces active duty, reserve or guard after September 11, 2001. How long a parent was in the service will determine if all four years of tuition are covered or only a portion is. If you attend an in-state state school, 100% of tuition should be covered. If you opt for a private school, you can expect a maximum of $22,805.34 per year (that number changes every year). Another option for dependents that isn’t affected by this new bill is the Fry Scholarship. This covers 100% of tuition for up to 36 months for a dependent whose parent died in the line of duty, post 9/11. In addition to these tuition benefits, there is a chance your child can get an application fee waiver because of a parents’ military status. Just ask the admissions office at the schools where your child will be applying. If you have any question about using military education benefits, ask if a college’s financial aid office has a military benefits specialist who can help your family work through the red tape. Believe it or not, many schools have someone who specializes in helping military families get the most out of their education benefits. But you’ll never know if you don’t ask. Leah Ingram’s mission is to help you feel more confident about your spending, regardless of income. She’s written 14 books, includingSuddenly Frugal: How to Live Happier and Healthier for Less and Toss, Keep, Sell! Her 15th book is The Complete Guide to Paying for College. Leah is a money-saving expert who has shared her unique personal finance approach and advice about getting the most bang for your buck on local and national TV, including The Weather Channel, Good Morning America and ABC News Now. For more about Leah, subscribe to hermoney-saving blog, follow her on Twitter @theleahingram, see what she’s Pinning on Pinterest, and “Like” her page The Confident Spender on Facebook. Also, check out Leah’s newest venture–Pawsome Doggie, selling dog-themed bakeware and birthday party supplies!